LOS ANGELES, Calif. /California Newswire/ — International jeweler Angara Inc. announces its "Black Friday Final Offer" to ensure that customers get the best of season's deal. With a discount of 15 percent on all orders, customers can also get a pair of garnet studs and a garnet pendant worth $299 absolutely free. LOS ANGELES, Calif., Nov. 29, 2013 (SEND2PRESS NEWSWIRE) — Angara Inc. (Angara.com) brings its Black Friday Final Offer to ensure that customers get the best of season's deal. With a discount of 15 percent on all orders, customers can also get a pair of garnet studs and a garnet pendant worth $299 absolutely free. They have to use the code BLACK15 at the checkout to enjoy the discounts and freebies. There is a lot happening at Angara.com. The daily deals are already there to make sure you get the best for the 2013 holiday celebration. The free shipping worldwide and 60-Day returns are an added privilege for customers. Angara is an international online jewelry store that deals in fine gemstone and diamond jewelry. The store offers a wide and varied assortment of designer jewels that include vintage, classic and modern styles. With the popular range of sapphire, diamond, emerald and ruby jewelry, the store also offers a unique selection of enhanced blue and black diamond jewelry including engagement rings, black onyx and moissanite jewelry, men's and women's wedding bands, bridal baubles and mother's jewelry. Holiday season is the most anticipated time of the year to shop and to celebrate. Customers wait for Black Friday and Cyber Monday to get the best discounts and offers. It is a good time to purchase gifts for everyone on the holiday shopping list. As jewelry is a moderately costly affair, it is not easy to spend on impulse. But when there is such a good deal on offer, jewelry shopping becomes fun. And the added benefit of easy customization, 0% Interest Financing and no-question-asked return policy at the store make this festive shopping more personalized, easy and secure. 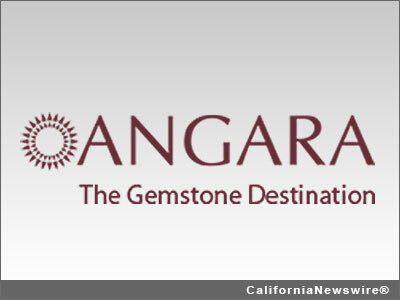 Angara is an online fine gemstone and diamond jewelry retailer. We are specialists in gemstone jewelry including sapphire, ruby, emerald, tanzanite and birthstone jewelry. We save our customers over 40 percent vs. other jewelry retailers by manufacturing our own jewelry and many of our gemstones. We have direct sourcing capabilities in the world's gemstone centers – Jaipur and Bangkok. We offer the unique ability to customize your jewelry by choosing different metal, gemstone size and gemstone quality options. Angara has been covered extensively in the press including coverage in America's Next Top Model, Forbes, Crains New York, and WWD. More information – http://www.angara.com/ .